Genealogy Education – The Boston University Certificate in Genealogical Research. Want to hone your research skills? Learn to write professional research reports? Network with others passionate about genealogy? 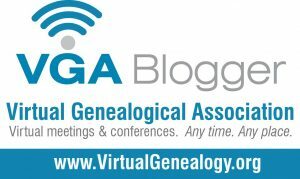 Learn from the best of the best in the genealogy world? My blog has been quiet for the past 3 months as I threw myself into the Boston University Certificate in Genealogical Research. The course ended about 2 weeks ago and I have been thinking about my experience. A quick disclaimer – I have no association with the B.U. course except that I recently completed it. The Boston University Certificate in Genealogical Research is a 15-week online course covering modules in Foundations of Genealogical Research, Problem-Solving Techniques and Technology, Evidence Evaluation and Documentation, Forensic Genealogical Research, and Professional Genealogy. It is taught by some of the best genealogists in the country (more about who they are can be found here), sharing their knowledge and expertise in an online setting. Together with experienced teaching assistants, they guide students through each module, encouraging discussion among the 30 or so students in each group and providing feedback on assignments. The assignments are tough and I appreciated that. I wanted the opportunity to put into practice what I was learning and they provided an effective way to do that. Each assignment is graded and you need at least a C in each module, with a final grade of at least a B- to earn the certificate. This course is time-consuming (20-30 hours of work a week). Many fellow students worked full time and participated in the course outside of their work day, and were able to keep up with it. I was fortunate to be able to focus exclusively on the course and many times put in more than 30 hours a week. Between online course work, all the readings (including supplemental and mandatory readings), the discussion forums and the assignments, there is certainly enough to keep one very busy. One of the side benefits of this course is that you get to meet other students as passionate about genealogy as you are. Each bring their experience and knowledge to the group and that fosters great discussion. I am looking forward to meeting up with my new-found friends at upcoming genealogy conferences. If you are thinking about genealogy education, I would highly recommend this course. I believe the next course starts in January 2018. More information can be found here. Is it really a brick wall? Way to go, Sue! I just enrolled for the course beginning in January – looking forward to it. Thanks for stopping by, Mary! Good luck with the course, I am betting you will love it!